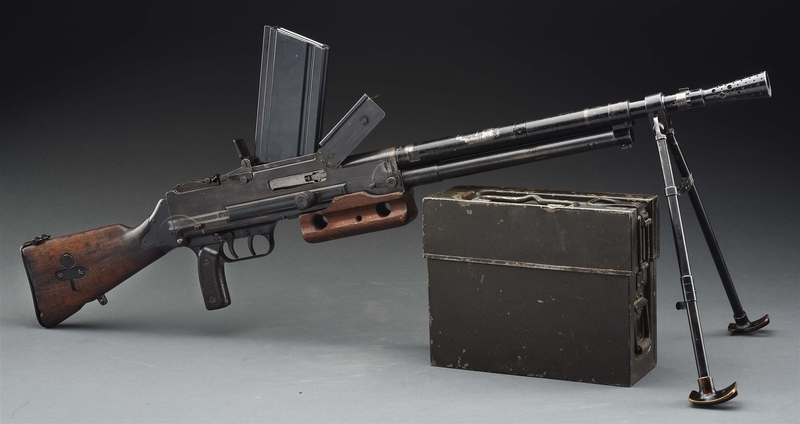 Lot #1001: (N) EXCEPTIONAL CONDITION HECKLER & KOCH G3 MACHINE GUN (FULLY TRANSFERABLE). Lot #1002: (N) DESIRABLE AND ATTRACTIVE GERMAN MP-38 / MP-40 MACHINE GUN ON INLAND ARMS COMPANY MANUFACTURED REGISTERED MP-38 RECEIVER (FULLY TRANSFERABLE). Lot #1003: (N) ICONIC ORIGINAL TRANSITIONAL FLAT MAG HOUSING GERMAN MP-40 MACHINE GUN (CURIO AND RELIC). Lot #1004: (N) HIGHLY DESIRABLE GERMAN MP-44 MACHINE GUN (CURIO AND RELIC). Lot #1005: (N) ALL ORIGINAL HAENEL MANUFACTURED MATCHING NUMBERED GERMAN WORLD WAR II MP-40 MACHINE GUN (CURIO AND RELIC). Lot #1006: (N) FANTASTIC ALL ORIGINAL HAENEL MANUFACTURED MATCHING NUMBERED GERMAN WW2 MP-40 MACHINE GUN (CURIO AND RELIC). 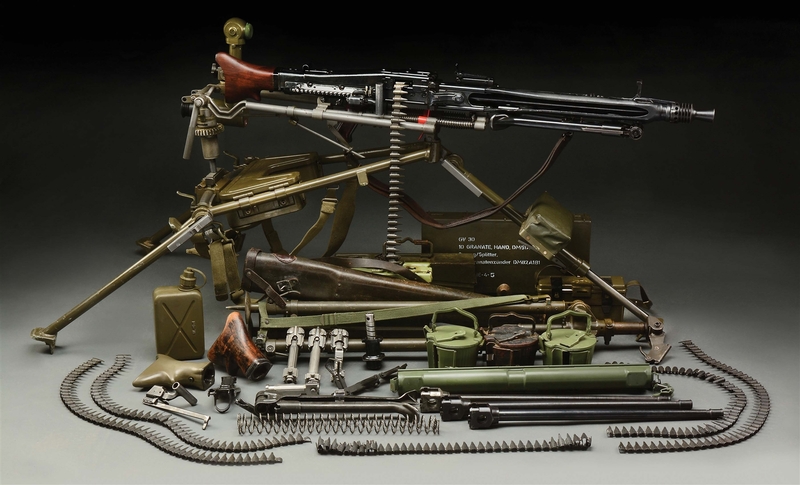 Lot #1007: (N) ICONIC GERMAN WORLD WAR II MG-42 MACHINE GUN ON MG3 MOUNT WITH NUMEROUS ACCESSORIES (CURIO AND RELIC). Lot #1008: (N) ATTRACTIVE AND UNIQUE SELECT-FIRE GERMAN WORLD WAR II MP-40 MACHINE GUN (CURIO AND RELIC). 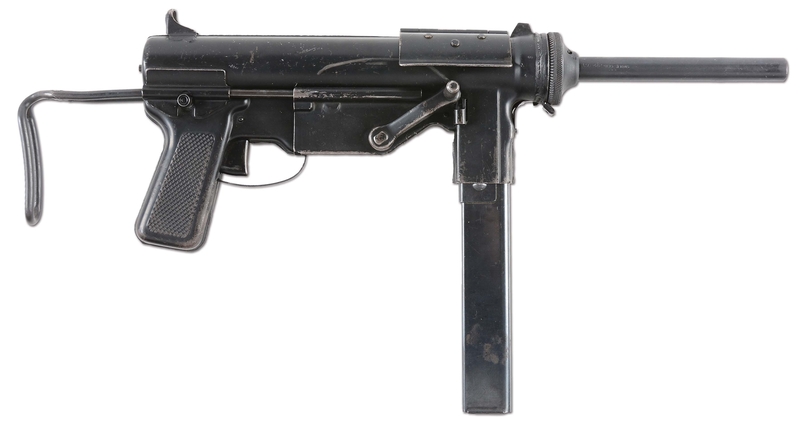 Lot #1009: (N) EXCEPTIONAL CONDITION GERMAN MP-40 ON WILSON REGISTERED TUBE MACHINE GUN (FULLY TRANSFERABLE). Lot #1010: (N) EXTREMELY ATTRACTIVE GERMAN MP-44 MACHINE GUN WITH STG 44 MARKED MAGAZINE (CURIO & RELIC). Lot #1011: (N) RARE AND HIGHLY SOUGHT GERMAN BERGMANN MP35/I MACHINE GUN (CURIO & RELIC). 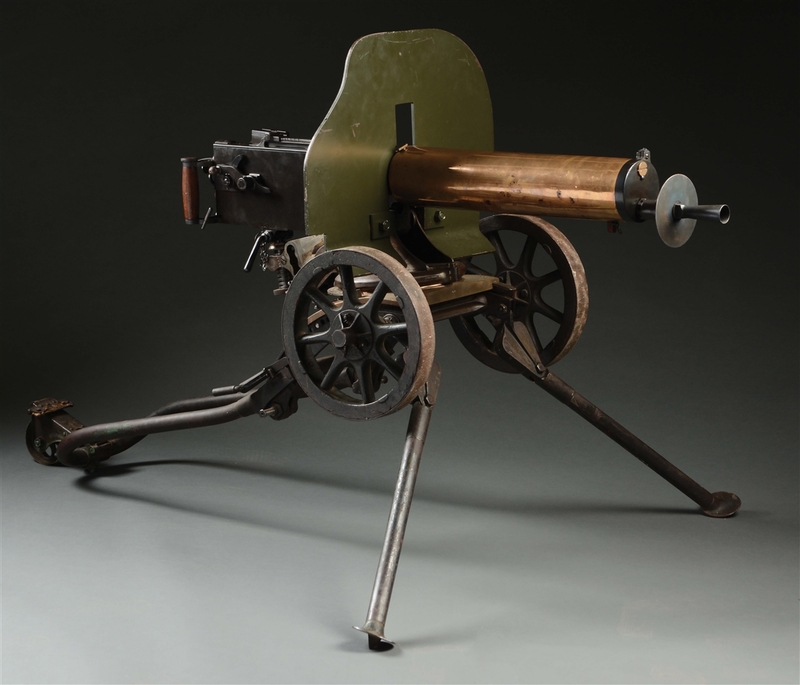 Lot #1012: (N) RARE AND DESIRABLE SAVAGE LEWIS MODEL 1914 MACHINE GUN (CURIO AND RELIC). Lot #1013: (N) SUPERB HIGH CONDITION EXTREMELY DESIRABLE ORIGINAL 8MM BREN MACHINE GUN WITH ACCESSORIES (CURIO AND RELIC). Lot #1014: (N) FLUTED WATER JACKET WORLD WAR I BRITISH VICKERS MODEL 1915 MACHINE GUN REGISTERED BY FAKTS (FULLY TRANSFERABLE). 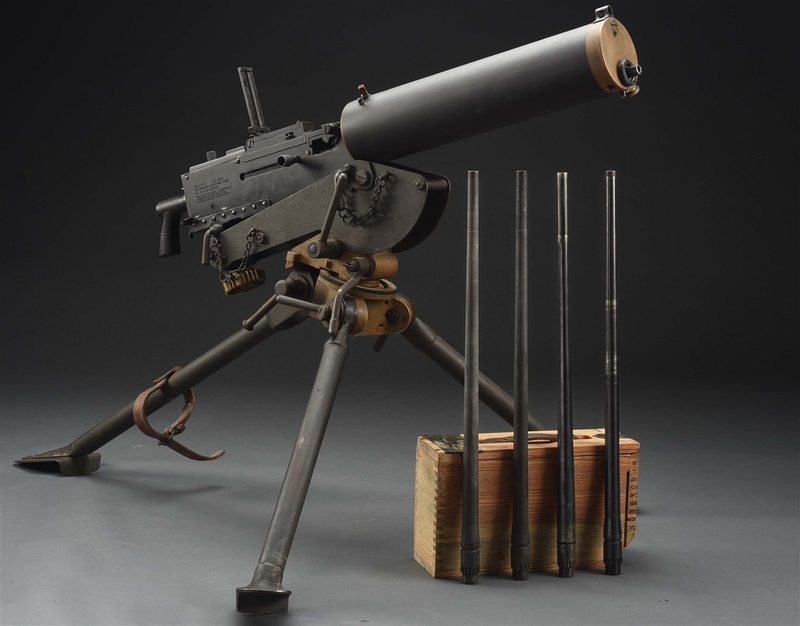 Lot #1015: (N) ICONIC AND VERY HANDSOME COLT THOMPSON 1921AC MACHINE GUN (CURIO AND RELIC). 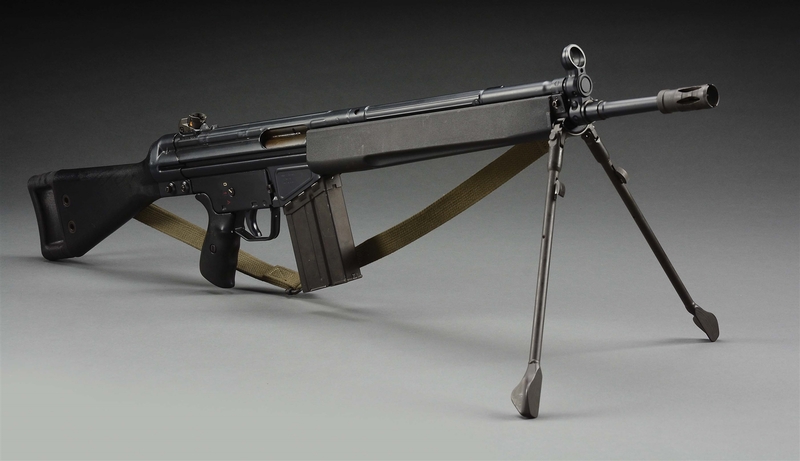 Lot #1017: (N) AUTO ORDNANCE THOMPSON M1A1 MACHINE GUN AS REACTIVATED BY MARANA ARMS (FULLY TRANSFERABLE). 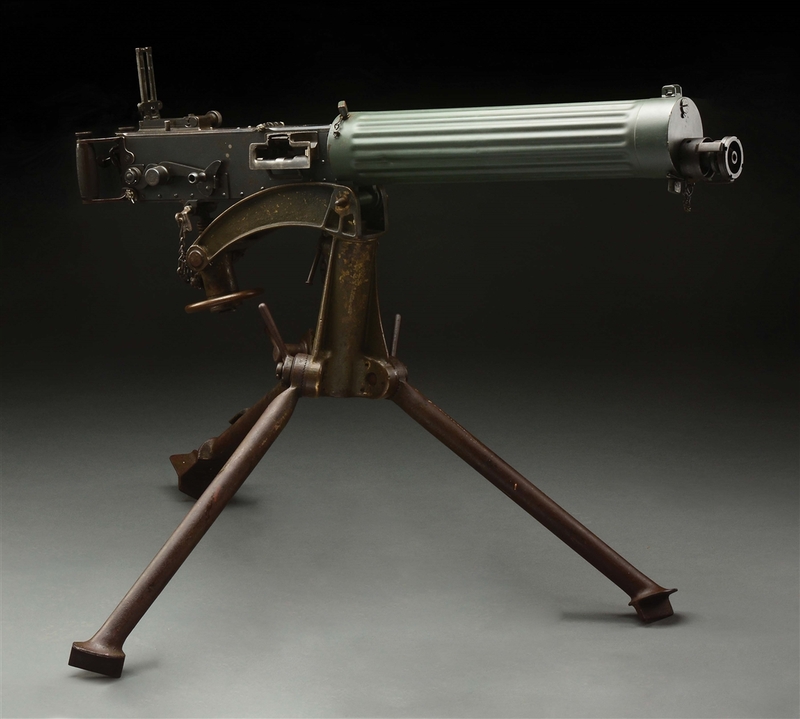 Lot #1018: (N) FINE CONDITION GUIDE LAMP M3 "GREASE GUN" MACHINE GUN (CURIO AND RELIC). Lot #1020: (N) KOREAN WAR CAPTURED RUSSIAN PPSH-41 MACHINE GUN WITH ORIGINAL VETERAN'S AMNESTY REGISTRATION FORM (CURIO AND RELIC). Lot #1021: (N) EXCEPTIONALLY ATTRACTIVE FLEMING REGISTERED RUSSIAN FOLDING STOCK AK-47 MACHINE GUN (FULLY TRANSFERABLE). 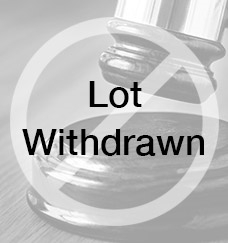 Lot #1022: (N) WILSON REGISTERED AUTO SEAR IN NEAR MINT UNFIRED HUNGARIAN SA 85M (AK-47 COPY) MACHINE GUN (FULLY TRANSFERABLE). Lot #1023: (N) EXTREMELY SCARCE AND ATTRACTIVE WORLD WAR I ERA BRASS JACKET IMPERIAL RUSSIAN MAXIM AS CAPTURED AND CONVERTED TO 8MM BY GERMANS (CURIO AND RELIC). Lot #1024: (N) VERY INTERESTING AND DESIRABLE ARMALITE AR-18 MACHINE GUN WITH BRITISH PROOFS (FULLY TRANSFERABLE). Lot #1025: (N) FANTASTIC JULY 1918 ORIGINAL CONFIGURATION WORLD WAR I MARLIN ROCKWELL BROWNING AUTOMATIC RIFLE MODEL 1918 MACHINE GUN (CURIO AND RELIC). Lot #1027: (N) WELL ACCESSORIZED AND HIGHLY COLLECTIBLE WORLD WAR II SAVAGE ARMS CORPORATION U.S. M2 HEAVY BARRELED .50 BMG MACHINE GUN (CURIO AND RELIC). Lot #1028: (N) VERY ATTRACTIVE COLT MODEL 1928 COMMERCIAL BROWNING WATER COOLED MACHINE GUN ON DLO REGISTERED SIDEPLATE (FULLY TRANSFERABLE). Lot #1029: (N) HIGH CONDITION SPRINGFIELD ARMORY M1A (M14) MACHINE GUN WITH ORIGINAL BOX (FULLY TRANSFERABLE). Lot #1030: (N) EXCEPTIONALLY FINE WORLD WAR II INLAND M2 CARBINE MACHINE GUN (CURIO & RELIC). Lot #1032: (N) MAGNIFICENT ORIGINAL LOW SERIAL NUMBER FN HERSTAL FN-FAL 1964 MANUFACTURED MACHINE GUN (CURIO & RELIC). Lot #1033: (N) EXTREMELY FINE FINNISH VALMET MODEL 76 .223 CALIBER MACHINE GUN (FULLY TRANSFERABLE). Lot #1034: (N) FANTASTIC NEW IN BOX LATE PRODUCTION COLT M16A2 MACHINE GUN (FULLY TRANSFERABLE). Lot #1035: (N) EXCEPTIONAL HIGH CONDITION UNFIRED COLT M16A1 MACHINE GUN (FULLY TRANSFERABLE). Lot #1036: (N) DESIRABLE HIGH CONDITION EARLY COLT AR-15 CONVERTED TO M16 MACHINE GUN BY PEARL MANUFACTURING (FULLY TRANSFERABLE). Lot #1037: (N) INCREDIBLY RARE AND DESIRABLE GROUP INDUSTRIES STAINLESS STEEL M16A1 MACHINE GUN (FULLY TRANSFERABLE). Lot #1038: (N) COLT AR-15 A2 SPORTER II HOST GUN WITH REGISTERED MACHINE GUN SEAR (FULLY TRANSFERABLE). Lot #1039: (N) DESIRABLE STONER DESIGNED AR-10 MACHINE GUN ON CENTRAL KY ARMS REGISTERED RECEIVER (FULLY TRANSFERABLE). Lot #1040: (N) EXCEPTIONALLY FINE CONDITION FOLDING STOCK STAINLESS STEEL RUGER KAC-556 MACHINE GUN (FULLY TRANSFERABLE). 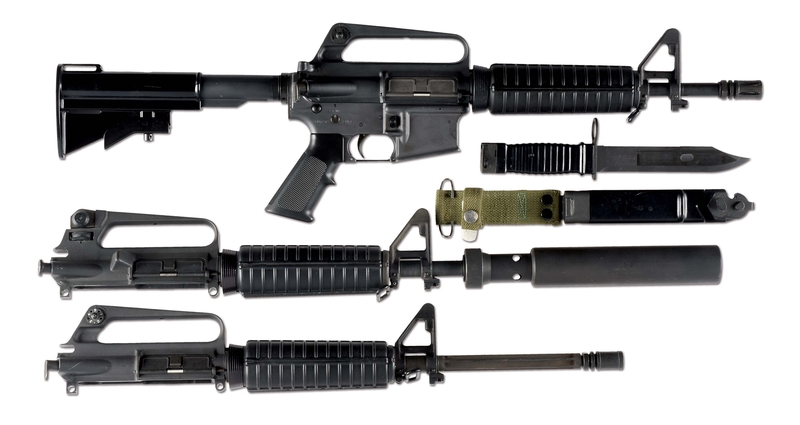 Lot #1041: (N) COLT M16A2 MACHINE GUN WITH KNIGHTS ARMAMENT SUPPRESSOR AND ACCESSORIES (FULLY TRANSFERABLE). Lot #1043: (N) INCREDIBLE NEW IN BOX RUGER AC-556K FOLDING STOCK MACHINE GUN (FULLY TRANSFERABLE). Lot #1044: (N) EXCEPTIONALLY FINE CONDITION FOLDING STOCK BLUED RUGER AC-556K MACHINE GUN (FULLY TRANSFERABLE). Lot #1045: (N) EXTREMELY POPULAR AND VERY DESIRABLE RUGER NORRELL 10/22 MACHINE GUN (FULLY TRANSFERABLE). Lot #1046: (N) HIGH CONDITION AMERICAN 180 MACHINE GUN (FULLY TRANSFERABLE). Lot #1047: (N) S & S ARMS AMERICAN 180 MACHINE GUN (FULLY TRANSFERABLE). Lot #1048: (N) SCARCE COLT REGISTERED FULL-AUTO BINGHAM PPS-50 .22 LR MACHINE GUN LOOK-ALIKE OF RUSSIAN PPSH-41 (FULLY TRANSFERABLE).